Yeah. Internal temperature. Don’t cook a turkey over 165 degrees F as the internal temperature. If you do, it will be dry. It’s that easy. 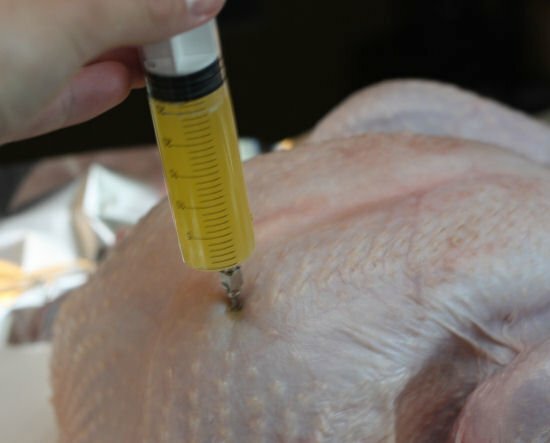 Remove and throw out the pop up turkey thermometer that comes with the turkey. Gross. And did you know it pops up at over 180 degrees F? That’s called gross and dry. Now, how do you know when a turkey is 165 degrees? Well, honestly, not trying to make this a Thermapen advertisement, but you need a good thermometer. An accurate thermometer. You get what you pay for. A cheap thermometer might read +/- 20 degrees F. So if you are going to go cheap, at least calibrate it in a pot of boiling water (boiling water should read 212 degrees F, so you can adjust your cheap thermometer accordingly). But life is easier with a Thermapen or one of the other Thermoworks products. I review a bunch of them at this link. Ok, so you have the main tip: internal temperature. But let me squeak in three more simple tips to really make grilling your turkey idiot proof. Add any dry rub. Seriously. Any BBQ dry rub will work. 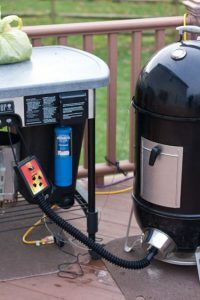 Or make a turkey dry rub like I did in this grilled turkey recipe post. Inject butter. Ok, that might be a little tricky only because you need a food injection system. But Amazon prime can have that here in 2 days, so is it really that hard? You can use one of the injection marinades or simply melt some butter, add some salt and inject it. 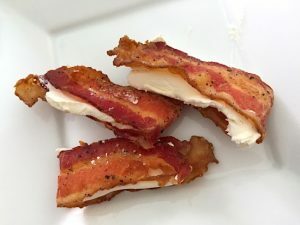 I did that in this recipe post. If you are grilling, do it over indirect heat and aim for a medium heat. If you go low heat you’ll take forever. If you go high heat you’ll burn the skin. So aim for an indirect heat. That’s about 350-400 degrees. Don’t add your turkey until the temperature is stable. If it’s low, add some coal. If it’s too hot, wait a little bit. 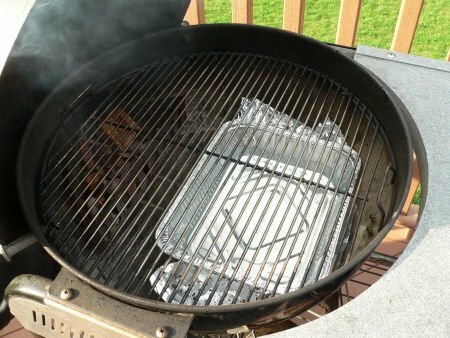 Also use a drip pan. Turkeys drip a lot, which is messy. So what did we learn here? If you have to do one thing – get a good thermometer and don’t cook the turkey over 165 degrees. If you can handle that one, then go ahead and rub it well and inject with butter. That adds a nice flavor pop and some extra moisture. Who doesn’t love butter? 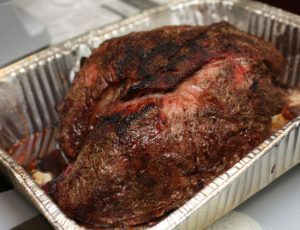 Find Grilling24x7 on Twitter on Thanksgiving day and please share your turkey pictures with me. I can’t get enough. One last tip: if the turkey seems doable, then go ahead and make these homemade rolls. I’m not joking, they are usually better than the turkey! Disclaimer: I’m an affiliate for Thermoworks but without their stuff, my food would be overcooked and sad, so I just report the truth. Their stuff is the best. I like where do I buy this product? Is it available in stores? Looks delicious! That butter injection is a nice touch. Love your Twitter channel – Keep it comin’!